The phenomenal growth of gaming has inspired plenty of hand-wringing since its inception–from the press, politicians, parents, and everyone else concerned with its effect on our brains, bodies, and hearts. But what if games could be good, not only for individuals but for the world? 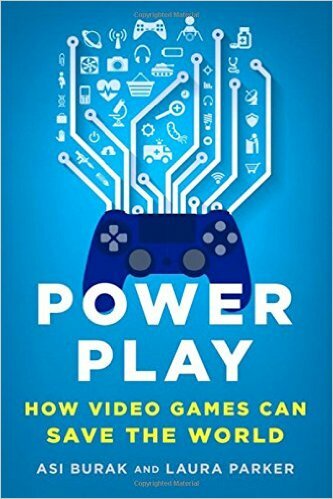 In Power Play, Asi Burak and Laura Parker explore how video games are now pioneering innovative social change around the world. As the former executive director and now chairman of Games for Change, Asi Burak has spent the last ten years supporting and promoting the use of video games for social good, in collaboration with leading organizations like the White House, NASA, World Bank, and The United Nations. The games for change movement has introduced millions of players to meaningful experiences around everything from the Israeli-Palestinian conflict to the US Constitution. Power Play looks to the future of games as a global movement. Asi Burak and Laura Parker profile the luminaries behind some of the movement’s most iconic games, including former Supreme Court judge Sandra Day O’Connor and Pulitzer-Prize winning authors Nicholas Kristof and Sheryl WuDunn. They also explore the promise of virtual reality to address social and political issues with unprecedented immersion, and see what the next generation of game makers have in store for the future.